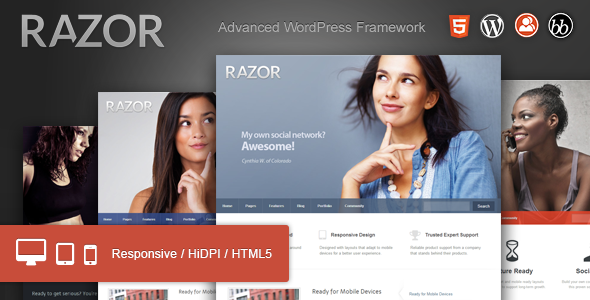 Razor is a clean, professional design for WordPress. Built on a responsive layout structure and supporting Retina (HiDPI) enabled devices, Razor’s beauty is more than skin deep. The theme is packed with powerful modern features and the advanced controls you wish other themes included. There are endless possibilities for building websites, communities, social networks and so much more. Share the post "Razor: Cutting Edge WordPress Theme"